While the early attempts on K2 up until the first ascent has been told in whole and in part many times, I thought that there was enough heroism and controversy to keep people speculating. I also thought nothing could justify a new book. After all, climbers and armchair mountaineers could argue the merits of whether Fritz Wiessner’s leadership on the 1939 attempt and whether it was he or his team alone that lead to stranding Dudley Wolfe high on the mountain for dead. Then there is the oxygen tank-controversy of the 1954 first ascent. The tanks allegedly ran out well before the summit, but was it from a fluke in the primitive apparatus or part of a conspiracy and a deadly effort to compete against their fellow climbers, which also lead Walter Bonatti to spend an extremely cold night exposed without shelter on the steep flank of K2? Mick Conefrey, the author of The Ghosts of Everest (1999) and the documentary filmmaker, was in a unique position to share two fascinating and new pieces of information that only recently became available that makes us reconsider the controversies and the characters involved, through his new book, The Ghosts of K2: The Epic Saga of the First Ascent (2015). Allows the facts as they were reported by individual climbers to mount so the controversies and biases can mount before he demonstrates how differently we can look at things. The Ghosts of K2 tells the tales that make up the saga of K2’s firsts attempts through the lens of a documentary film director; we witness Oscar Eckenstein, Aleister Crowley, and Jules Jacot-Guillarmod in 1902, the Duke of the Abruzzi in 1909, Charlie Houston and his star studded crew in 1938, Fritz Wiessner and his rag tag bunch in 1939, Charlie Houston and his “brothers” again in 1953, and, finally, Ardito Desio’s successful all-Italian expedition in 1954. Conefrey made an award winning documentary, by the same title as the book, in 2001 that appears to have laid the track for this cog railway; the documentary was historical and matter-of-fact with a wonderful narrator that gives a suspenseful tone to the old black-and-white photos and film. But the new input Conefrey in offers in his new book is difficult to ignore for any armchair mountaineer, let alone anyone objectively looking at the events on and after the K2 attempts. The Ghosts of K2 wasn’t written to be the academic history book I presumed it would be when I started reading it; rather, with the passage of time, and the deaths of some parties, diaries and other documents have surfaced by some of the climbers and their family members of those in the 1939 and 1954 expeditions. This is information that wasn’t available in 2001. The question of who actually stripped the camps stocked with sleeping bags and food late in the expedition in 1939 is addressed anew with evidence. Likewise, the most controversial expedition to the Karakorum, the 1954 Italian assault on K2 is revisited — with evidence. Conefrey reevaluates whether Walter Bonatti was a blameless victim and if those that made the first ascent, Lino Lacedelli and Achille Compagnoni, did or did not actually run out of oxygen as they claimed, or if they did, what does that mean for Bonatti and his allegations of Lacedelli and Compagnoni? In both instances, the evidence could be interpreted a little differently, and perhaps discounted altogether, but it doesn’t necessarily diminish the reevaluation of events. And if anything, may make the history come alive again for a younger generation. Along the journey, the Conefrey includes insightful trivia pieces and observations on the shifts mountaineering has taken over its history, the stuff that climbers and armchair mountaineers devour. My favorite of which was when Conefrey explains the revolutionary thinking involved in climbing in the Himalaya and Karakorum and likened it to the move to climb the great north faces of the Alps, but only after all of the major ridges have been climbed. The notion had been considered reckless by some, and a natural advancement to others. For example, the attempts on the north face of the Eiger was a significant milestone in mountaineering history, but it might as well have been going over Niagara Falls in a barrel to many witnesses at the time. Overall, The Ghosts of K2 makes the reader feel more intimately involved with the attempts on the mountain, and they are rewarded with some tantalizing new twists about what may have really happened when some great climbers tried to reach the top. After reading it, you might find yourself speculating on the controversies anew at the crag or at the bar. No one gave Griffith Pugh much thought. That was true among the climbers too, it seemed. And at first glance he was absent minded, eccentric, and stubborn. Yet, his daughter, Harriet Pugh Tuckey, introduces her late father in a new light and while he might not have been beautiful, he can be appreciated to a greater degree. 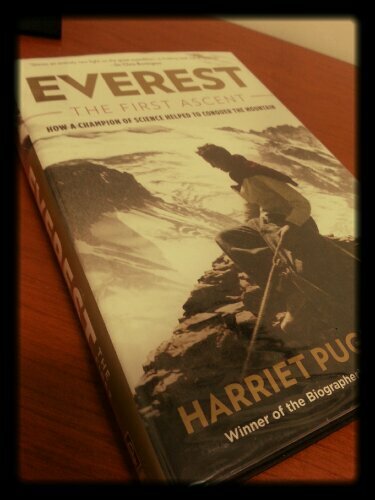 She has also made me rethink, to some extent, the reasons that the 1953 Everest expedition was successful. 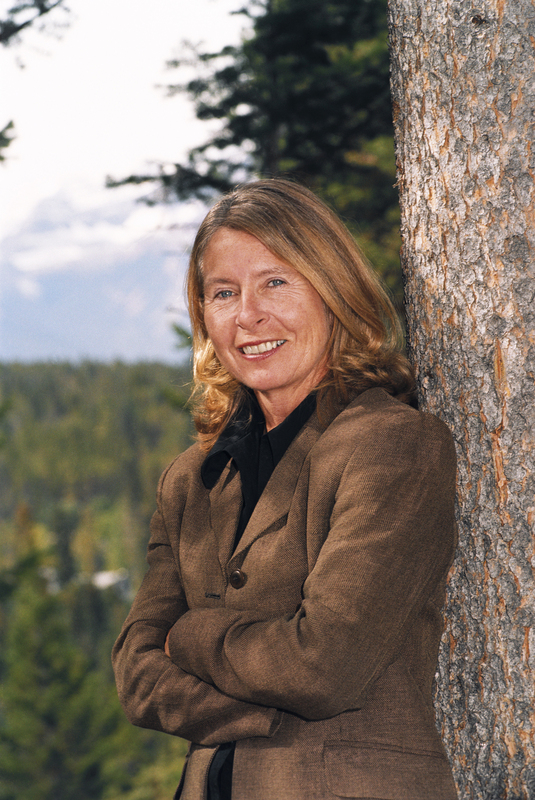 She does this through her award winning book, Everest, The First Ascent: How a Champion of Science Helped to Conquer the Mountain. Tuckey won the grand prize at the Banff Mountain Book Competition and the Boardman Tasker Award for Mountain Literature, both in 2013. The Boardman tasker committee gave it this description: “Immensely readable biography of the 1953 expedition doctor and physiologist, the author’s ‘difficult, bad-tempered father’ who she lived with in an ‘uncommunicative co-existence’.” Yep. That’s the brunt of the story, however from a pure climbing history lens, it adds something new or at least brings some formerly obscure factors into focus. The Golden Age of Himalayan climbing began in 1950 when the first of the 14 mountains over eight kilometers above sea level were climbed. After various failed attempts on the Himalayan giants, including eleven on Mount Everest, Annapurna in Nepal was climbed thanks to improvements in equipment and mostly bullheadness. Most climbs to the Himalayas at that time followed the tradition of ascents from the graceful Alps mixed with a military-style seige; grit and determination and advancing camps along the route to the top. Before the Golden Age, it was a mystery why the oxygen tanks, brought to make climbing in the thin high altitude air easier, only earned complaints from the climbers about how useless they were. It was also a mystery whether man could adapt to the altitude, and if not what that meant. Still, in the early 1950s, these mysteries were being settled by expedition leaders and their gut feelings on the matter. That approach seemed the only practical way; there was no one else with the skills or know-how to test the theories. At the same time, sharing new ideas that ran against convention, like those from Pugh, had to go up against a virtual behemoth. The Everest Expedition was not a simple band of friends. It was institutional and political. 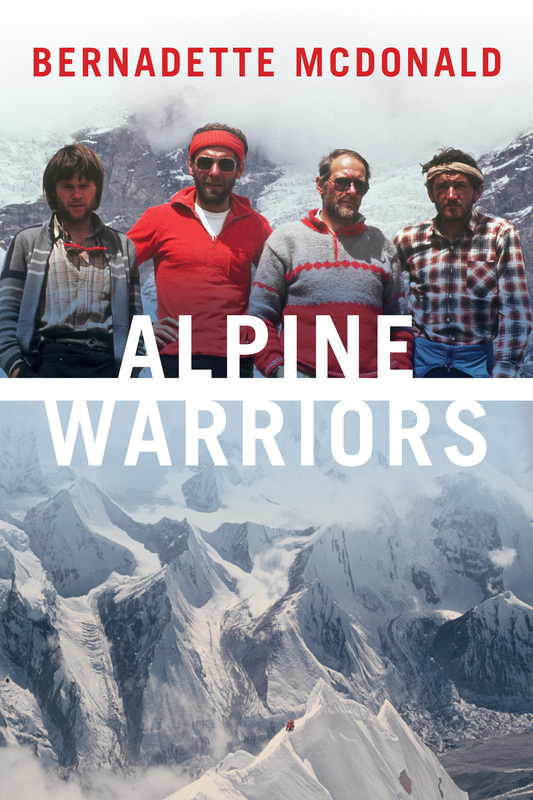 The role of Everest Committee of the Alpine Club and the Royal Geographic Society was more akin to Washington, DC calling the shots in a ground war in Vietnam; the climbers with a real stake in the strategy rarely got to weigh in under the hierarchical structure. However, the Expedition Doctor (an official position on the Expedition), Michael Ward, understood this and believed that there were things the whole Expedition didn’t know that it didn’t know. He suspected an expert in physiology in cold might help break new ground. Dr. Griffith Pugh was a lifelong tinkerer and a man of science in the exploratory sense. He knew more about humans operating in cold climates than almost anyone else because of his work for the Royal Army Medical Corps in Lebanon during World War II. He was also once an Olympic skier and did a bit of climbing himself. If someone can solve the mystery of how to put a man atop Everest (which had become as great a challenge as landing a man on the moon), perhaps Pugh could. Overall, Tuckey doesn’t fundamentally change my concept of what Hillary and Norgay accomplished, but she does give detailed insight into the critical strides Pugh advanced among the Expedition. Sometimes his influence was subtle and sometimes not so subtle, like the climbers’ clothing and oxygen apparatus. As you’ll see in the book, he was often misunderstood, only now we know he shouldn’t be unnoticed. Over three decades ago, two climbers — Steve Roper and Allen Steck — took it upon themselves to identify some of the best climbs on the continent. Since their book, Fifty Classic Climbs of North America, was first published in 1979, the routes it canonized as the 50 classic, soon became known as the 50 crowded climbs. People clearly agreed with their choices, yet they recognized that much of their decisions could be second guessed: “Our routes are not the fifty classic climbs of the continent, but rather our personal choice of the finest routes in several major areas which differ radically in length, type of climbing, and geographic setting” (Roper, xi). The book is a wonderful history of those routes, as well as the regions they are in to some extent. They tell the stories based on the best of sources, and list the best available agreed-upon rating for those routes. As illustrated in the Acknowledgments section at the beginning of the book (p. viii), their sources were a virtual who’s who list of north american climbers: Monty Alford, Fred Beckey, Glen Boles, Mike Covington, Jim Crooks, Harry Daley, Greg Donaldson, Clark Gerhardt, Mike Graber, Jim Hale, David Isles, Chris Jones, Steve Komito, Alan Long, George Lowe, Leigh Ortenburger, Galen Rowell, Eric Sanford, Paul Starr, the late Willi Unsoeld, and Ed Webster. They also expressed appreciation for black and white photos from Ed Cooper and Bradford Washburn. I spent the majority of my time reading (and rereading) the sections on Alaska and Western Canada. I was a little disappointed that the walls around the fjords around Baffin Island weren’t included in any way, but then again they were just coming into “popularity,” as much as popularity gets with climbers, in the 1980s. I had long known that the Cassin Ridge on Denali was one of their 50, where Riccardo Cassin, Gigi Alippi Luigi Airoldi, Giancarlo Canali, Romano Perego and Annibale Zucchi made the first ascent in 1961, a climb I knew well, historically speaking. But I was suprised that Roper and Steck chose to call the mountain McKinley exclusively; I wondered it Bradford Washburn had anything to do with that. As you might have realized from previous posts, I have a mountain-crush over Mount Huntington in the Alaska Range, yet I didn’t know it was listed. The route named by Roper and Steck was the west face of Mount Huntington (12,240 ft./ 3,731 m.), which was first ascended by David Roberts, Don Jensen, Ed Bernd and Matt Hale in 1965. It was also the ascent that inspired Roberts’ book The Mountain of My Fear. In Canada, one that I have admired for years because it’s in the Cirque of the Unclimbables is Lotus Flower Tower (7,500 ft./2,286 m.) The vertical wall was first climbed in 1968 by Jim McCarthy, Sandy Bill and Tom Frost. Layton Kor recently passed away — fortunately in old age, albeit in poor health. One of his legendary climbs, and a tower I’d like to reach the top of, is the Titan (5,600 ft./ 1,707 m.) in the southwest.He made the first ascent of the 650-foot climbing route with George Hurley and Huntley Inglalls. It’s listed as number 38. Copies are still for sale but mostly on the collectors block only. Some are going for several hundreds of dollars though worn and beat up copies may be acquired for as little as $40US. The American Alpine Club Henry S. Hall Library has copies for lending to its members and if you’re out west (unlike me) your library might even have its own copy. 14. Mt. Alberta, Japanese Rt. 25. Devil’s Tower, Durrance Rt. 41. Sentinal Rock, Steck-Salathe Rt. 44. El Capitan, Nose Rt. Source: Roper, Steve and Allen Steck, Fifty Classic Climbs of North America, San Franciso, 1979.